A few days ago, we released a new version of Advancor Database compare which included dockable panes, exists check and many other improvements and bug fixes. Dockable panes: From feedback, we have implemented dockable panes. 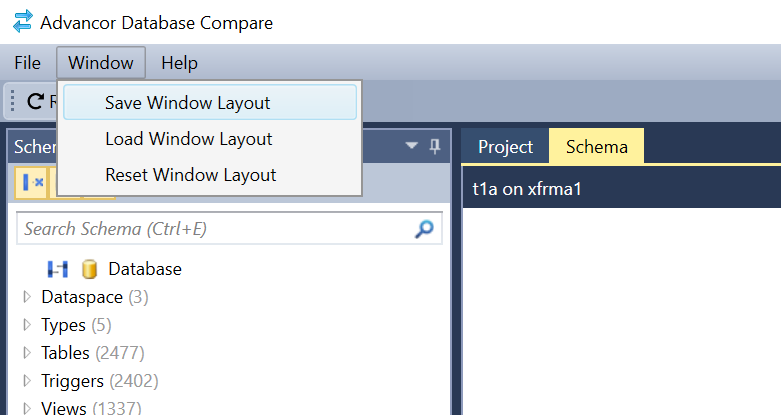 You can now for example drag the schema navigation pane to the left and save the layout from the Window menu. The next time you start, the layout will be resumed as you left it. We have also redesigned the experience around scripting, instead of opening a new window, script documents are opened in tabs. We have also updated the design of the application. 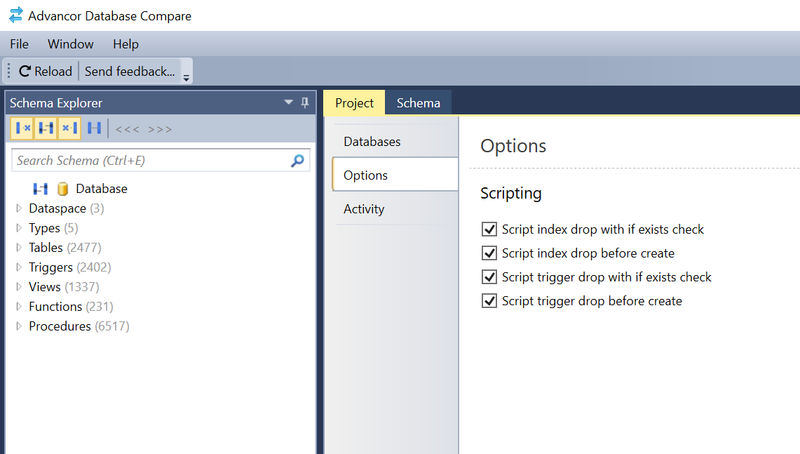 Exists checks: As requested by several users, we added options to generate scripts with if exists checks for triggers and indexes. We will continue to add exists checks for views, functions add procedures in future versions. Various bug fixes and stability improvements: We have fixed more than 20 issues that has been discovered by our users and in our own testing efforts. Thank you for your time and help! Fixes includes a foreign keys and column order bug that occurred in rare cases, script readability improvements, schema load stability improvements, improved check constraint support, improved default constraint compare, general performance improvements, collation handling improvements, and more.